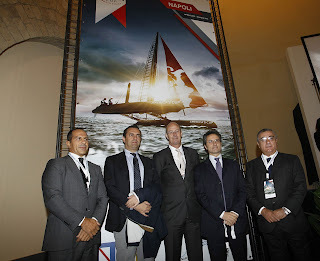 Event organizers came together today to celebrate Naples’ successful bid to host the America’s Cup World Series, an event that will bring the top sailors in the world to Italy in April 2012 and May 2013. The race village will be in Bagnoli, a western, seaside district of Naples that is undergoing significant regeneration. The America’s Cup World Series events are expected to accelerate and contribute to that process. A consortium of authorities has been aligned to deliver the events, including the Region of Campania, the Province of Naples, the City of Naples and Unione Industriali Napoli. All parties are looking forward to spectacular sailing at two events that will deliver a high impact for the city of Naples. The event will give the Italian public, which has enjoyed a passionate history with the America’s Cup over the past 20 years, an opportunity to watch the world’s top sailors compete in the state-of-the-art AC45 wing-sailed catamarans. 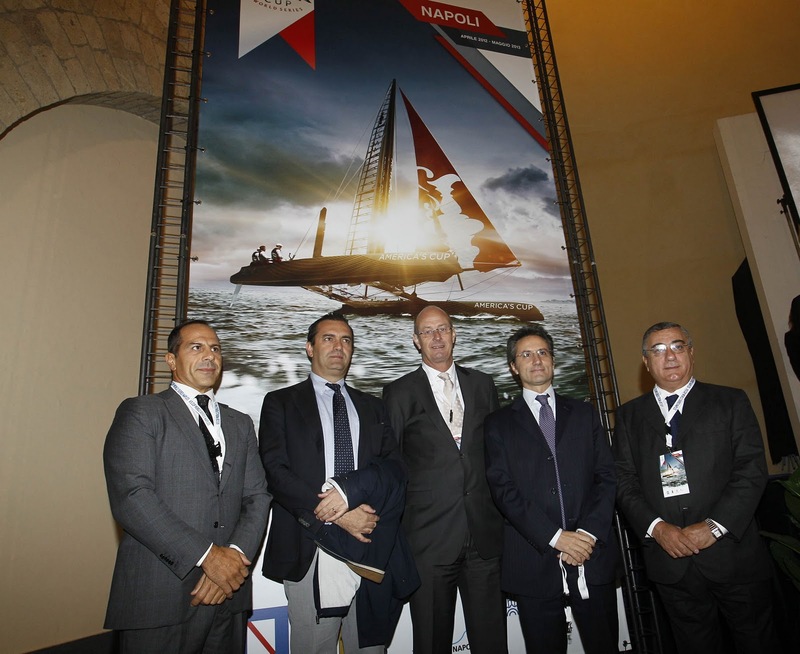 The April 2012 event will be the first time the high-tech boats will be raced in Italy. The first AC World Series - Naples is scheduled for April 7 to 15, 2012, while the dates in 2013 will be one month later, from May 11-19. The 2013 event is currently scheduled to be the final AC World Series stop before the teams head to San Francisco for the Louis Vuitton Cup and the America’s Cup Finals, meaning the champion of the 2012-2013 AC World Series season will be crowned in Naples. The AC World Series features tight, short race courses designed to deliver close racing for the fans on shore as well as the online and TV audiences. The innovative regatta format includes a mix of speed trials, head-to-head match racing, and all-out fleet racing with 9 identical AC45s on the line. These events provide the fans the only opportunity to see all of the America’s Cup competitors racing together. The forerunner to the next generation of America’s Cup boats, the AC45 wing-sailed catamaran is the official boat of the AC World Series. While capable of closing speeds over 35 mph, the AC45 remains nimble enough to handle the tight, tactical race courses planned by America’s Cup Race Management (ACRM). Riccardo Marone, Bagnolifutura President: “I believe that the America's Cup World Series regattas in 2012 and 2013 are a great opportunity for the area’s development because they will allow us to unlock the necessary European funding to complete ongoing public structural operations in Bagnoli as well as to open the site of the first part of the urban park."